We often talk about seafarer happiness, and the effect that has onboard. What about seafarer pain? It is too easy to forget that shipping safety and performance can rest on how seafarers feel as they go about their business – and teeth are a big part of this. A nagging toothache can make for bad decisions – and the effect of something small can have a big impact on the wider maritime world. There can be a “butterfly effect” when people have to make decisions, but are affected by pain or distraction. In shipping, small changes in the initial conditions lead to drastic changes in the results. While seafarer dental health may seem relatively unimportant or distant, the resultant actions and responses can lead to accidents, pollution, collisions and loss. Bad decisions on the wheelhouse or engine control room can have devastating effects. There can be few relatively minor issues which can cause as much misery as toothache. Sadly, seafarers are more likely than most to have problems. A lack of access to dentistry while away, and perhaps a hesitation to visit the dentist when on leave. Then all of a sudden, it can be years between visits – and teeth can suffer badly. The UK P&I Club has been treating the issue of dental health at sea seriously. The insurer is concerned about not just the personal pain and suffering, but the potential for larger problems and claims too. According to Sophia Bullard, Crew Health Programme Director at UK P&I Club, “Dental problems can be a major cause for concern amongst seafarers. We often see claims arising from dental problems that require urgent medical treatment and even repatriation of crew. On an individual basis these claims may not in the higher claim cost bracket, however, they often result in repatriation of crew, which has a further impact on the safe manning of the ship and other delays to ship operation. It is of course not easy to maintain a relationship with dentists. Seafarers are frequently at sea for long periods and are therefore unable to attend regular dental check-ups ashore. Indeed, even when they come home, it is unlikely that a visit to the dentist is high on the list of priorities, and so this can lead to dental problems developing unchecked. Dental problems can have a detrimental effect on the seafarers’ performance, concentration and wellbeing, not to mention a significant impact on sleep, eating and other daily activities. Good dental hygiene is extremely important, and so encouraging and reminding seafarers to take the correct steps to avoid dental problems will not only ensure their own wellbeing, but will also reduce costs for members, and will improve the safety of the ship by helping to maintain a full complement of crew. It is probably not high on the agenda for a seafarer heading home, unless your teeth are aching. But the advice is to get a dentist – and to explain to them all about the fact you work away. They are likely to be understanding, and will hopefully understand why your check-ups aren’t as regular as they should be. If you are away, it is all well and good to be brave and think you can soldier on through the pain – but things can get serious quickly. While a toothache in and of itself will not kill you, an untreated infection — anywhere on your body — could. So if you have a toothache that is caused by infection, the infection itself can possibly be fatal if it’s left untreated. So don’t go messing around, get it sorted and visit a dentist. It’s not just about teeth. Healthy teeth sit in healthy gums inside a healthy mouth. Look after all of them. Clean, rinsed, fresh and lovely. Be the mouth you would want to kiss! Brush your teeth with fluoride toothpaste twice a day for about two minutes to help keep your teeth and mouth healthy. You will need to match your watchkeeping routine – so it may have to be double that! Plaque is a film of bacteria that coats your teeth if you don’t brush them properly. It contributes to gum disease and tooth decay. 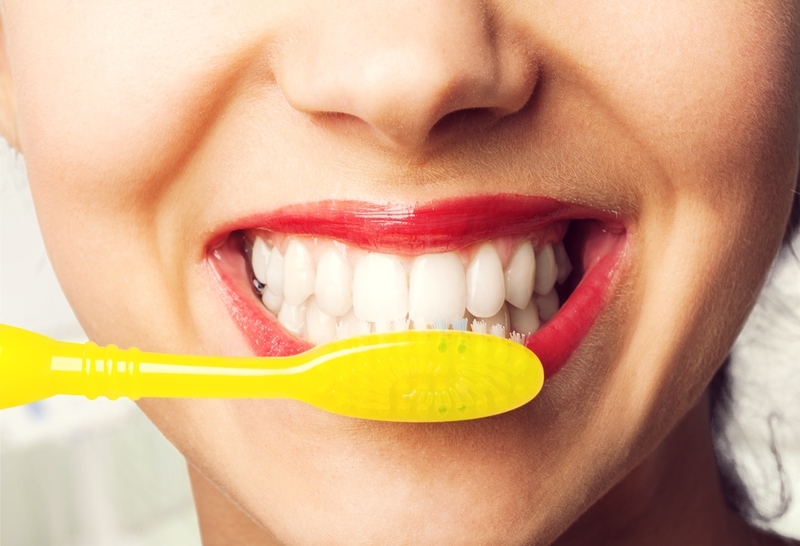 Tooth brushing stops plaque building up. Try to make sure you brush every surface of all your teeth. Electric or manual? Truth is, it doesn’t make much difference if you brush properly and frequently. So electric toothbrushes are cooler gadgets, so they probably win. Don’t skimp on the toothpaste. Bargains aren’t much fun if all your teeth drop out. It’s important to use a toothpaste with the right concentration of fluoride. Check the packaging to find out how much fluoride each brand contains. Now for the science…How to brush your teeth. Brush all the surfaces of all your teeth, which should take about two minutes. Remember to brush the inside surfaces, outside surfaces and the chewing surfaces of your teeth. Don’t rinse with water straight after toothbrushing. Let the fluoride sit and work its magic for a moment. Spit, but don’t rinse immediately. What do you think? Have you suffered toothache at sea? A filling fallen out, or a chipped tooth. Let us know how you deal with dental health. We look forward to hearing from you.